In the latest example of the growing popularity of the graphic novel category, Barnes & Noble announced plans to create dedicated sections for middle grade (ages 7–12) graphic novels in all of its stores beginning in June. The new kids' graphic novel sections will collect more than 250 book format comics titles aimed at children and preteens in one central location in each B&N store. The new sections will be labeled with “graphic novel” signage and will be located adjacent to the Young Readers areas in each store’s children’s dept. More than 35 writing agencies are coming together for this year’s National Writing Day, which will take place on Wednesday (27th June). Author William Fiennes, who is co-ordinating the day, said there were “too many events to count” this year, with scheduled highlights including a workshop with writer Sabrina Mahfouz in London, a Twitter Q&A with Jed Mercurio on the BBC website Writers Room, and a poetry workshop with Polly Atkin in Cumbria. 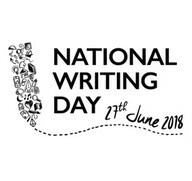 National Writing Day is an annual celebration designed to inspire people across the UK to get writing and grew out of Fiennes’ experience with First Story, the charity he set up with Katie Waldegrave. ‘The Spotify for Books’ hasn’t worked yet. Here's why. No term garners more collective trepidation from the publishing industry than ‘the Spotify for Books’. From Oyster to Scribd, and Flooved to Entitle, countless outfits have professed to be on the brink of disrupting the world of books. So why have none achieved the runaway success of Spotify? Is the publishing industry fundamentally unsuitable to a model of unlimited consumption? Many would have you believe so. In reality, whilst the term has inevitably been overused, it has also been misused. This has paved the way for widespread confusion regarding business models and in many cases, unnecessary reticence from publishers. We now live in a world increasingly skewed towards models of access over ownership. Blame the millennials if you must, but the reality is that we largely don’t actually need to own content that we consume either partially or fleetingly. And therein lies half of the explanation - the model just doesn’t work for books that are voraciously read cover-to-cover. In short, the Spotify model is less suitable for trade publishing. A bold statement, certainly, but one that has been shown to be true time and again. Welcomes queries from both published and unpublished writers. Particularly interested in upmarket women's fiction, fantasy, romance, and thrillers. No christian, comedy, humour, comics, graphic novels, erotica, poetry, puzzles, games, picture books, early readers, middle grade, new adult, stage plays, or screenplays. Submit query via form on website. Provides a collaborative platform for art, encouragement and enjoying life. Our target audience is Women in all walks of life seeking to connect with others, share stories and laugh. Accepts submissions from new and existing authors for fiction and nonfiction. Interested in real life, memoir, crime, passion, and human drama. 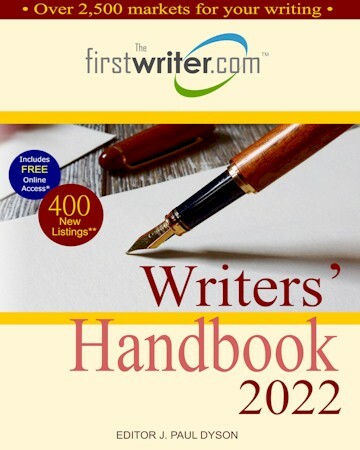 Approach using online form on website or by post, including three draft chapters, the genre of your book, and your target market. See website for more details. Who hasn't wistfully stared out of a train window, engrossed in a deep, perfectly soundtracked moment, and thought to themselves, "I think I've got a book in me"? The trouble is, putting pen to paper is notoriously much harder than simply revelling in a cinematic moment during your daily commute. Whether it's writer's block, a serious problem with procrastination, or not knowing what to do with your finished manuscript, ELLE invited some of publishing's most exciting names to discuss how to write the book in you, and then get it published.